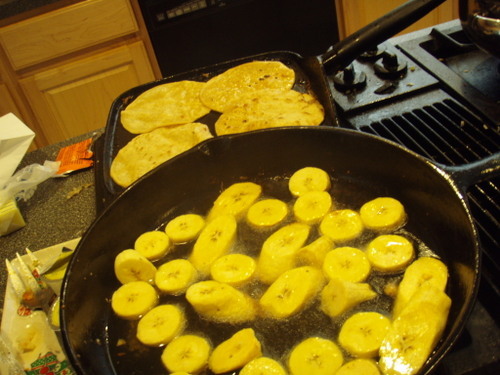 Just a suggestion, candy the plantains just like you would sweet potatoes. Slice, gently brown on side one with butter, brown sugar and cinnamon. flip, and brown on side two. Delicious. I used to just fry them plain, but I went to a catered dinner party and they tasted like they were candied, so I tried it at home, and they were the best. Hope this is some help. Love your blog. A "sistah" in Key West.